With extensive experience in trade, project financing, leasing, rentals and water-as-a-Service (WaaS), Fluence’s team of experts are available to help municipal, commercial and industrial clients determine the most appropriate solutions for a wide range of water and wastewater project requirements. Our experienced team will work closely with you to develop a flexible financing package and business model to meet your specific needs. Using international private banks and financing partners, as well as national and international financing agencies, we can provide not only domestic financing packages but also export credit facilities from various countries including SACE, U.S. Exim, ASHRA, CESCE, and Euler Hermes, and more. Fluence provides a one-stop shop for the financing, design, construction, operation and maintenance of your water or wastewater projects regardless of project size. In some cases, the facility may be transferred to you for a nominal amount at the end of the contract. For small and medium-size projects, generally below $30 million, we provide maintenance and service packages to support many rental and lease options, including short-term rentals and operating or financing leases. In all situations, you decide if either you or Fluence will operate the plant, and if you want to own the plant after a defined period at a predetermined or fair-market value. Each option can have a different impact on your balance sheet and certain tax implications, subject to your local tax regulations. While WaaS is fairly similar in form to BOOs, leases and rentals, the financial structure is much simpler and particularly suitable for smaller projects. Instead of buying, leasing, or renting the equipment, you buy a service that generally consists of the supply of a daily volume of water for drinking or industrial purposes, or of the treatment and reuse of a daily volume of wastewater. This service is provided at a set price, which may include a fixed and variable component for the duration of the contract. Fluence provides the plant, including design, manufacturing, site erection and operations and maintenance. We also guarantee the availability of said service 24 hours a day, seven days a week. Typical contracts last from a few years up to 15 years, depending on the customer’s requirements. This form of contract is particularly suitable for distributed, decentralized water and wastewater treatment using our NIROBOX™ and membrane aerated biofilm reactor (MABR) product lines. Easy and fast to implement, our plug-and-play Nirobox provides drinking or high-quality process water from any source, including sea and brackish water. 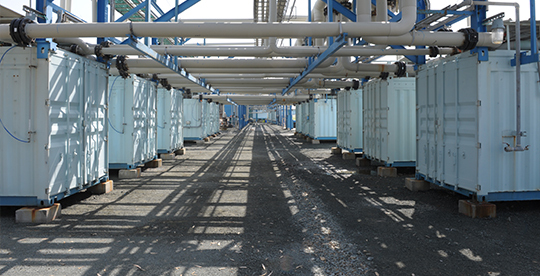 Fluence’s packaged plants feature advanced MABR wastewater treatment technology, which can reduce energy consumption by up to 90% compared to conventional wastewater treatment. Because our plants are quiet, odorless, and neighborhood-friendly, they are the ideal choice for commercial applications and small communities, including resorts, golf courses, commercial buildings and campuses. Treated effluent is compliant with class A water quality and suitable for recycling. Do you have a water, wastewater, or reuse project that requires financing? Contact our experts to discuss your specific project details, and we’ll work with you to develop the most appropriate finance package for your needs. We’re here to help! Contact us to learn more about our project financing solutions, or to discuss your next project with our experts. 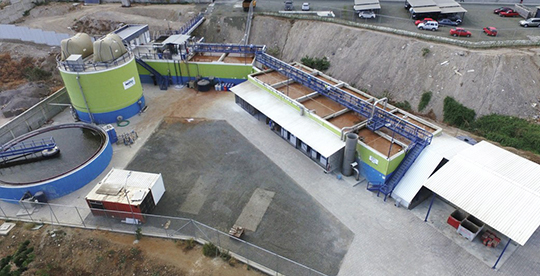 Eurofish Group, a leading tuna processor in Ecuador, wanted to add anaerobic digestion to its plant, but it had to be done without interrupting production. Through the support of SACE, an export credit agency in Italy, Eurofish was able to access competitive extended payment terms to support the project with payment over the following five years. The successful renovation allowed the plant to meet environmental standards, improve effluent quality, and reduce sludge volume by 75%. When the government of Baja California, Mexico, declared a water emergency for the region of San Quintín in 2014, leaders knew they needed to find a solution to ensure residents a reliable, safe water source. 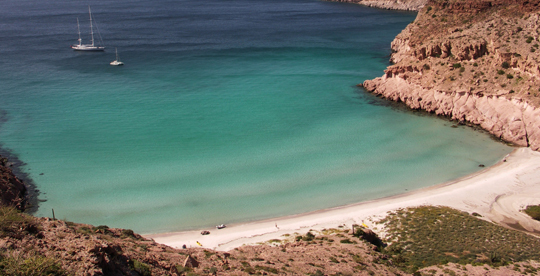 To address the lack of water, water infrastructure problems, as well as the high price of tanked-in water, the State Water Commission of Baja California decided to build a desalination plant in San Quintín. The State of Baja California partnered with Fluence, Libra Ingenieros Civiles and R.J. Ingenieria under a PPP scheme, and the consortium will carry out the finance, build, operate and transfer (BOT) contract. The seawater reverse osmosis plant will provide local residents with 22,000 m3/d (roughly 5.8 million GPD) of desalinated water. The three-company consortium will operate the facility for 30 years. Fluence supplied the Cyprus Water Development Department (WDD) with a 10,000 m3/d plant to temporarily relieve a water shortage in Limassol. Because we commissioned the plant less than five months after the order was placed, the Cyprus WWD received a reduced interest rate during construction. Based on WDD’s guaranteed minimum off-take of water, a fair escalation formula for the annual tariff adjustment, and appropriate collateral, we were able to finance the project with an international bank at a favorable interest rate, based on a mix of equity type funds and debt. This specific financing structure enabled us to negotiate a contract with an attractive tariff on the water supplied. 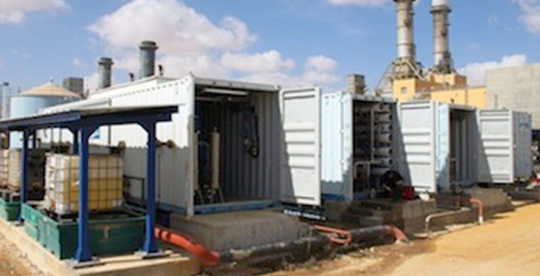 Fluence supplied Israel Electric Company (IEC) with two containerized ultrapure water systems, as well as provided maintenance and servicing of the units. With an initial lease period of 12 months and an option for extension, lease and service payments were made through monthly fixed installments. After an extended leasing period, Fluence took back the units for redeployment to other clients. Prior long-standing cooperation between the companies resulted in a favorable credit-risk assessment. By working with an international financing partner, we were able to offer IEC low leasing and service fees.